Azerbaijan is preparing to host next edition of Francophonie weeks, the event uniting people speaking French. The days of French language and culture are annual spring event in Azerbaijan that brings French-speaking people together. 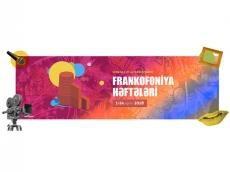 The Embassies of Belgium, France, Egypt, Greece, Hungary, Lithuania, Morocco, Mexico, Romania and Switzerland will jointly celebrate French language and Francophonie holiday in Baku on April 1-14. Within the framework of the event, various events will be organized, including concert programs, exhibitions, and film screenings. Participants will be able to watch eight films and a joint performance of the famous French musician Pierre de Tregoman and the famous Azerbaijani mugham singer Gochag Askerov with the program “Mugham soul”. Since 1970, there is an organization, acting with the same name, which deals with cooperation of the French-speaking countries in the world. By working with organizations such as UNESCO and creating a structured relationship with other linguistic regions, particularly the English-speaking countries gathered in the Commonwealth, the Francophone Association has played an important role in encouraging dialogue among cultures.